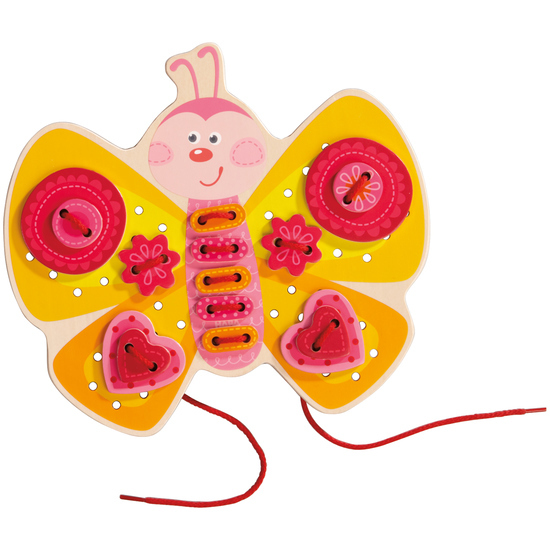 Who wants to decorate the wings of the butterfly with flowers or hearts? Even the body has space to add the beautiful little threading tiles, so little ones can really let their imagination run wild. Contents: 1 butterfly, 42 threading tiles, 3 threads, 2 double-sided templates.